By Professor John C. Eastman and Charles H. Bell, Jr.
Summary: The Citizens Redistricting Commission process has gone seriously awry, hijacked by covert Democrat and leftist partisans who have violated open meeting, public records and conflict of interest laws, playing a “shell game” with draft district maps that likely will cement Democrat 2/3ds control of the State Legislature when finalized. Proposition 11 provided a remedy – Republican commissioners can defeat the final district maps if three Republican commissioners simply vote no. Then, redistricting can be conducted by the State Supreme Court which did an exemplary job in 1974 and 1991 in creating truly fair and impartially drawn districts. Proposition 11 – the Voters First Act – vested authority to draw the lines for Congressional, state legislative and Board of Equalization districts in a new peoples’ commission, but it also sought to achieve a broad popular consensus of Democrats, Republicans and other commissioners for approving final district maps. To adopt maps, Proposition 11 requires supermajority approval consisting of majorities of each of these groups – Democrat, Republican and unaffiliated commissioners. Thus, any plan must attain the affirmative votes of three of the five Republican commissioners, even if it has the unanimous approval of Democrat and unaffiliated commissioners. On the flip side, these standards also permit party-affiliated commissioners to block district maps that are overtly- or covertly-partisan or ideological. The people built this supermajority requirement into the State Constitution’s redistricting process based on the wisdom embodied in other constitutional supermajority requirements embedded in the California Constitution (for example, the requirement of a 2/3ds vote of both Legislative houses to raise taxes and fees and a 55% supermajority vote of the people to adopt local bond measures). Proposition 11 thus built into its very structure an important balance of power. If a proposed redistricting plan is overtly-partisan or ideologically tainted, a majority of non-partisan commissioners can veto it. If a proposed redistricting plan is “covertly-partisan,” likewise a majority of the Republican or Democrat commissioners can veto it if they believe it favors one major party or the other. Equally important, behind Proposition 11’s built-in veto authority is the measure’s “default” authority in the event the commissioners are unable or unwilling to approve final district maps. Proposition 11 provides that in the event of deadlock, the authority to draw district lines falls upon the State Supreme Court. The authors of Proposition 11 understood that if the people’s mechanism of a Redistricting Commission could not successfully complete its task, the best hope for fair districting in the future could safely depend on the State Supreme Court. The Court had performed that task well twice in the last four decades, in 1974 and 1991 when legislative impasses required the court to take up the redistricting job. In fact, the Supreme Court performed that task in 1974 and 1991 much more fairly than the Legislature had done in its last two efforts – the 1981 and 2001 redistricting which are commonly acknowledged to have been egregious, partisan (and in 2001 bi-partisan) gerrymanders. The results of these partisan gerrymanders was telling – virtually no gerrymandered district changed partisan hands in the two decades, a nearly 98% reelection rate for incumbents of both major political parties. So, if the Redistricting Commission deadlocks, that would not necessarily be a sign of failure. Rather, it would be an acknowledgement that the gravitational pull of partisanship and leftwing ideology in the Redistricting Commission process can be resisted by partisan Commissioners voting to deadlock the Commission’s attempt to draw overtly- or covertly-partisan or ideological district plans, allowing the Supreme Court to perform its designated constitutional role. By August 15, 2011, the Commission either must adopt district plans agreeable to supermajorities of Democrat, Republican and other commissioners or it goes out of business and the responsibility for redistricting defaults to the State Supreme Court. However, deadlock doesn’t just “happen,” its useful role must be fully understood. The Redistricting Commission process itself bears examination even before the Commission has completed its tasks as the August 15th deadline approaches. Despite Proposition 11’s design to avoid overt and covert partisanship, the Commission’s composition process was badly executed, the Commissioners blithely disregarded conflict of interest and public disclosure laws, and the Commission’s preliminary decisions to release maps that violated the constitution and to cancel an important map release deadline, combined with draft maps that have tilted progressively toward favoring Democrats suggest that this process has been hijacked and is headed for failure. The Commission’s selection process favored educated elites, mostly with left-wing backgrounds. When the initial commissioner applicant pool was narrowed from over 30,000 to 60, this winnowing process performed by state bureaucrats favored applicants with advanced educational backgrounds and local government experience. The legislative strike process that reduced the applicant pool from 60 to 36 further refined the applicant pool to an even more concentrated group of the educational elite. The initial random selection process resulted in the selection of the first eight commissioners and that group’s composition did not reflect the state’s population. The final selection process vested in the initial eight commissioners the choice of the last six commissioners. That final process resulted in the inclusion of a hyper-partisan Democrat who was a MALDEF attorney in the 2001 redistricting litigation and the selection of a Santa Paula educator whom the media recently disclosed had failed to reveal his political contributions to Democrats and had also failed to disclose membership in an organization whose redistricting plans he is advocating. The first eight commissioners also excluded from the Commission a retired law professor who served as special master expert for the highly-lauded 1974 and 1991 State Supreme Courts’ redistricting plans. These decisions best reveal the dirty little secret of the Redistricting Commission’s covert leftist and activist Democrat majority. The Commission’s five “non-partisan” commissioners are with one exception to the left of center and probably to the left of the five Democrat commissioners. The Commission hired as its experts Q2 Data & Research, a company of Berkeley line drawing expert Karin Macdonald, who has a leftist background and is a business partner and academic paper co-author with Democrat redistricting expert Professor Bruce Cain, and Ana Henderson, an adjunct law professor and former Justice Department attorney advisor with a decidedly leftist background. The Commission rejected line drawing advisors and lawyers with impeccable redistricting expertise but past Republican connections. As late as June, the Commission hired as its “racially-polarized voting” consultant a liberal professor who had submitted an analysis of “racially-polarized voting” for one of the advocacy groups appearing before the Commission, an obvious conflict of interest under California common law. The Commission was about to hire a Washington, DC – based Democrat law professor who had co-authored four academic papers with Ms. Macdonald as “in line reviewer” of Macdonald’s work until a public outroar ensued. Were the objections to the Commission’s activities limited to process only, there would be an insufficient basis to urge Republican commissioners to take what may seem a drastic step – to block the Commission’s maps. However, the Commission’s likely product, the maps, appears to be unfair and partisan. Even Democrat redistricting effort Paul Mitchell has concluded that the Commission’s districting plans are likely to secure 2/3ds Democrat majorities in the State Senate and State Assembly. Republican redistricting expert Dr. Tony Quinn agrees. The analysis that accompanied the Commission’s June 10th release of draft maps suggested that the commissioners had drawn districts likely to offer some competitive districts and no clear partisan tilt. This promise has faded as the commissioners have continued to tinker with the draft maps, with each draft veering more in favor of Democrats. Although the citizens’ commission reform was intended to reduce gerrymandering, the Redistricting Commission’s current “visualizations” hardly banish this odorous practice. For example, the Commission’s proposed LASGF State Senate district stretches from Claremont in the east San Gabriel Valley to Burbank in the San Fernando Valley, a district without a “community of interest.” The proposed WMONT State Senate district stretches from agricultural Santa Maria some 200 miles to the outskirts of San Jose. Sacramento County is split into six State Senate districts that run from Sandy Valley (less than 30 miles from the outskirts of Las Vegas, Nevada) to Hilt on the Oregon border. One draft Board of Equalization district spans from Yreka on the Oregon border to El Centro on the Mexican border, a driving distance of more than 730 miles. You cannot travel between these two cities and stay within the proposed district by any highway or other mode of transportation! Other examples of unexplainable splitting of cities and counties abound in the draft “visualizations” that may soon be final Commission district maps. In short, the Commission’s maps to be released next week are likely to be unfair, Democrat-favoring and gerrymandered. E. Will Republican Commissioners Recognize and Exercise Their Constitutional Duty? Of the five Republican commissioners, some appear to understand their role and the importance of using their constitutional supermajority power to block bad Commission decisions and ultimately, to block overtly or covertly partisan redistricting plans. Other Republican commissioners appear to be more influenced by other concerns and the understandable motivation to “complete” the Commission’s assigned task to draw districting plans. Will these commissioners accede to the leftist-oriented perspectives and preferences of the Commission’s Democrat and unaffiliated majority? Will they have the fortitude to say no to Redistricting Commission maps that are the product of a process hijacked by the left, tainted by violations of state opening meeting laws, public records laws and conflicts of interest and by the undisclosed partisan and ideological affiliations of commissioners? Will they say no to ratifying the “shell game” process by which first draft maps were made public that contained blatant violations of equal population and other constitutional requirements, the release of second draft maps was cancelled on short notice, and the final maps will be released without effective opportunity for public comment or change? 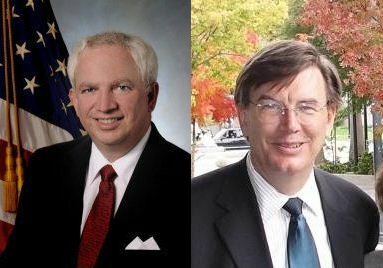 Will these three commissioners understand that “going along, just to get along” to the August 15 finish line and check the box, “mission accomplished,” even if that means adopting overtly- or covertly-partisan redistricting plans, would fail to live up to their constitutional responsibilities? Only time will tell. Thus far, Republican commissioners seem not to fully appreciate the genius of the Proposition 11 design. If they fail to understand it and utilize their power, they could be responsible not only for abrogating their constitutional power and responsibility but also for thwarting the people’s goal in adopting Proposition 11 to ensure fair redistricting. Getting along, and just getting the job done, simply to check the box “mission accomplished,” will not be true to the spirit and design of Proposition 11. Whether that result would lead to litigation or referendum of the Commission’s districting plans, it could mark the Proposition 11 experiment in 2011 as a spectacular failure. Dr. John Eastman is the Henry Salvatori Professor of Law & Community Service and former Dean at Chapman University School of Law. Charles H. Bell, Jr. is the senior partner of Bell, McAndrews & Hiltachk, LLP, Sacramento, California and is a leading election law and litigation practitioner. This entry was posted on Friday, July 22nd, 2011 at 6:58 am and is filed under Blog Posts.